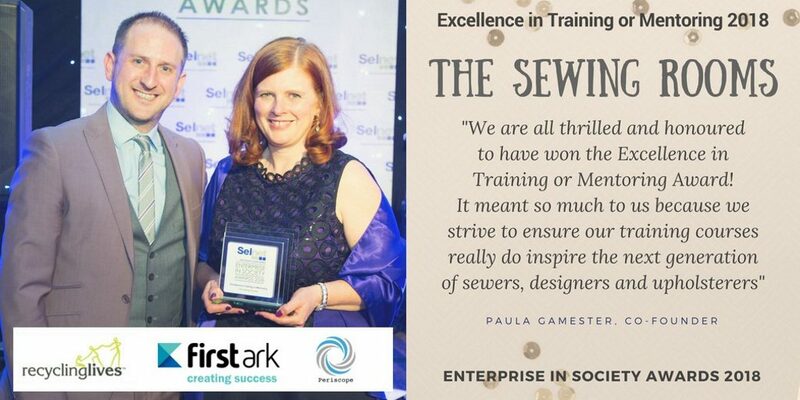 The Sewing Rooms’ impact in transforming the lives of women, older people and refugees has been recognised with the Excellence in Training and Mentoring award at the Enterprise in Society Awards. 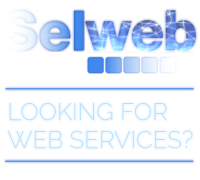 The Sewing Rooms is a small social enterprise based in Skelmersdale. The company is led by social entrepreneurs Paula Gamester and Maureen Fazal, who developed a unique business model; that has now replicated in Halton Merseyside, and will soon be established in Devon and Cornwall through the Transform Ageing initiative (supported by the Design Council, Big Lottery and Unltd). From their manufacturing department that makes curtains and soft furnishings for IKEA and private customers, The Sewing Rooms built a relationship with IKEA. They now provide sewing and creative activities within their stores of Warrington and Manchester Ashton Under Lyne throughout the year, using this fantastic opportunity to promote The Sewing Rooms to a wider audience/potential clients, to provides work for our staff and to generate profits to reinvest into social impact activities in Skelmersdale. The Sew Fab Academy is the enterprise’s training department that offers popular private sewing lessons and Upholstery courses. The Sewing Rooms engage with individuals facing multiple and complex barriers and have helped participants improve their skills and employability prospects. Two have gone into employment and the Directors are actively measuring their social impact and the progression of individuals supported through their Building Better Opportunities project work. The income and profits generated from our diverse income streams provide skills training and resilience training for the most disadvantaged in our community. Skelmersdale’s Sewing Rooms provide training and a safe place for a cohort of women over 50, this initiative is called the SILVER SEWERS and started 4 years ago benefitting over 60 women. This initiative has developed into a number of great community and intergenerational activities. The company has worked with over 40 refugees, providing mindful sewing and a safe environment to connect with other women and learn new skills and enhance their English vocabulary. Working with Talent Match and the Birchwood Centre, in this past year The Sewing Rooms have provided skills training and wellbeing initiatives for 35 young homeless with multiple complex needs and issues. By helping them to move forward with their lives, this particular programme delivered 91% success rate whereby nearly all participants went onto full time employment or self employment. We also deliver numerous one off social interventions in the town our latest being Age of Inspiration a wellbeing and resilience event that will help individuals over the age of 50 to stay connected and stay well.